Situated at North road, Brightlingsea we are proud to have 2 areas available for hire 7 days a week for almost any event. Large car parking area and easy access for all including disabled access. Both bars are fully licensed and come with staff for the duration of your event. 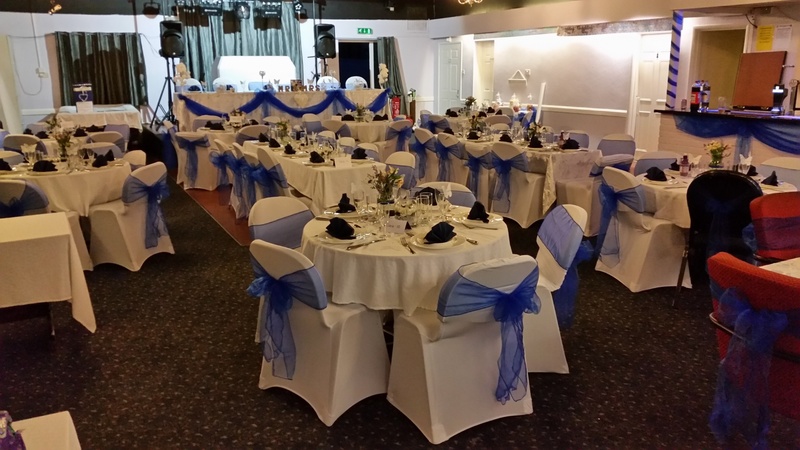 The club has its own small stage area, PA system, Tables & chairs including chair covers suitable for events. If you are looking at hiring the venue for a wedding then we also have other equipment which can be included in the price of the hire. Please contact tony_osborne59@hotmail.com for further information. Hire for wedding, corporate, team building, party, family celebration, conference, exhibition, prom in Brightlingsea, Alresford, Clacton, Wivenhoe, Elmstead Market, Thorrington, Colchester, Essex.